Beyond television screens and radio airwaves, Bro. Eliseo F. Soriano, the multi-awarded radio-television host of the phenomenal religious program, Ang Dating Daan (The Old Path), also conquers the digital space through his blogs, to propagate the Gospel of Christ written in the Bible. As Bro. Eli celebrates his 54th year in service to God and humanity, let us look back at how he began his journey as a blogger, and the development and milestones that followed after. Bro. Eli’s first venture into the world of web logs dates back to April 2007 when he published his first articles through his first official blog esoriano.wordpress.com, just two years after he left the Philippines to preach in other parts of the globe. His first blog post was titled, “Dissecting The Worst Mass Murder in American History”. The mass shooting committed by a South Korean student in Virginia on April 16, 2007 prompted Bro. Eli to discuss the many forms of evil that have become more and more rampant in these “last days”. Palpable in this statement is Bro. Eli’s fervent desire to let everyone know of God’s words written in the Holy Scriptures. This concluding statement perhaps encompasses his purpose of getting into the world wide web and reaching to a greater number of people, especially those who are active internet users. Bro. Eli’s first blog publication coincided with his 60th birthday. Notwithstanding the gap between his seniority and modern technology but instead using it in his pursuit, Bro. Eli earnestly continued blogging through his website, collating hundreds of articles in his archive from 2007 to 2014, and covering various topics on religion and spirituality. Moving into an owned domain, Bro. Eli’s next undertaking in the blogosphere was through an intriguing moniker, Mr. Controversy, with the corresponding website, www.controversyextraordinary.com/. In June 2015, Bro. Eli launched this new blog site with an introduction: “Welcome to the world of controversies”. True to its name, articles published by Bro. Eli in this website discussed not just various religious arguments, but also issues and controversies that touch on society and politics. 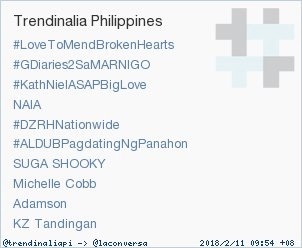 In just three months time, it had already garnered more than three million views, and was recognized during the Philippine Blogging Awards 2015. Among the controversial topics Bro. Eli has blogged about include the recent issues faced by the incumbent administration led by President Rodrigo Duterte, US President Donald Trump’s racism against Filipinos, and the false prophecies and practices of the Iglesia ni Manalo. Moreover, the website features a “Translate” option to over 100 languages and dialects, allowing readers from every corner of the world to conveniently follow Bro. Eli’s blog articles using their own native tongues. A “Flag Counter” is also found at the end of the website, which shows the number of page views per country of origin. To date, 299 different countries have visited the site. The views totaled about 4.11 million, with Philippines and the United States as the leading sources of viewers. The website also remains to be number 1 among blogs under the Religion category, according to Bloglog.com. The first blog award received by Bro. Eli Soriano was for his WordPress website, esoriano.wordpress.com, which was cited by Mashable’s Open Web Awards as the “Most Educational to Follow” back in 2009. In the same year, the website was also recognized during the 11th Philippine Web Awards as the “Most Popular Website” and “People’s Choice in Blogs Category”. The same award-giving body again awarded Bro. Eli’s blog the People’s Choice Award in 2011. His acclaimed new website, controversyextraordinary.com has also received citations in the recent years. It was lauded as the “Overall People’s Champion Award” and the “People’s Choice Award in the Society and Politics Category” during the Philippine Blogging Awards held in November 2015. “I write not to be awarded honors from humans. If awards come, they serve to extend my purpose of reaching out to more and more,” Bro. Eli wrote in response to these two awards he received for his continuous blogging efforts. Through the popular social media platform, Twitter, Bro. 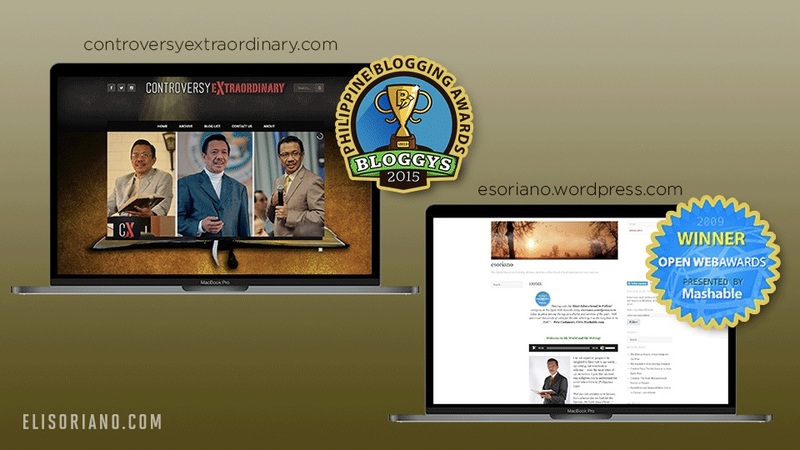 Eli promotes his blog articles to the online community using the account, @MrControversyX. With weekly publication of new or reproduced articles, Bro. Eli’s readers and online followers are encouraged to engage in discussions that involve Twitter’s well-known feature, hashtags. Through hashtags that trend, essentially declaring that a topic is largely talked about or discoursed, Twitter users who are not familiar with Bro. Eli’s blog or even his preaching history, can easily click on the hashtag and be directed to the link of his blog articles. Bro. Eli’s blog articles have also been published in print through “The Blog Magazine”. With this, he transformed his digital articles into a tangible form, granting access to those who do not use the web. “The Blog Magazine” is distributed for free by the Members Church Of God International (MCGI). The Bible Readers (BRead) Society International – a non-profit, non-sectarian organization founded by MCGI Overall Servants Bro. Eli Soriano and Bro. Daniel Razon – also constantly gives out the magazines to students in schools and institutions they attend. In celebration of the National Bible Month last January 2018, the Bible Readers Society International handed out free copies of “The Blog Magazine” to more than 35 public libraries, city halls, Department of Education offices, and schools around Metro Manila. After over a decade of blogging, Bro. Eli’s articles and discussions have made a lot of impact on his readers and online followers. From sparking religious curiosities to stimulating sensible conversations, from bringing the Gospel of Christ closer to people to providing Bible-based answers to perennial spiritual queries – with the help of God, Bro. Eli is achieving the foremost purpose why he began his blogging journey. A living testimony to this is Bro. Moses Gonzales, a 20-year old resident of Pandacan, Manila who was baptized in the Church of God through a blog article of Bro. Eli. Bro. Moses recounted how he was enlightened, through Bro. Eli’s article, about a topic he never understood before. He further said that the title of the blog and the moniker of the writer Mr. ControversyX, baffled him. He then found out about the preacher behind this who is none other than, Bro. Eli Soriano. From then on, Bro. Moses constantly watched Youtube videos of Bro. Eli’s expositions and debates, and made it a habit to watch Ang Dating Daan (The Old Path) at UNTV Channel 37. On the 6th of November 2015, after completing the indoctrination sessions, Bro. Moses was baptized into the Church. “Before, I thought that my denomination was the true religion, I was a fanatic of tithing, but when I heard Bro. Eli Soriano and Bro. Daniel Razon, I realized the wrong doctrines that I have been following all along,” he shared. Bro. Eli’s blog articles are also being utilized by the Bible Readers (BRead) Society International in their events and symposiums. In particular, in the organization’s “Breaducation” project at Rizal High School in Pasig, the blog article “The Best Educational Book of All Time” was used a topic in one of their lectures.